Last year, around the beginning of November I think it was, I had some sort of ‘awakening’. 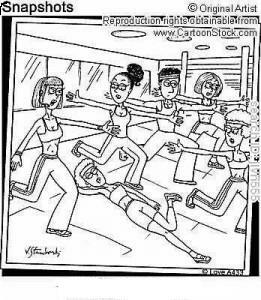 I have always struggled with exercise and I had reached the point where I just didn’t know how I was going to stick at anything. I was a member of the gym, I had a personal trainer and I still hated it and I still made excuses not to go. Being in the business of motivating others I felt a complete failure, not being able to motivate myself to do something I knew would be good for me. I volunteered to be the ‘dummy client’ and I had to bring something for the trainer to work on, to demonstrate the technique. I blogged about my first day in this previous post but there was a second….and a third. Something clicked after that second day. I realised that I had been approaching it all wrong. I didn’t like the gym and it wasn’t working as I kept cancelling my training sessions. So I knew what I didn’t like but I had no idea on what to do about it. It was decided in this training/therapy session that I would try out some other types of exercise until I found one I liked. I agreed to go for a bike ride and to walk after work at least twice a week between this session and the final one. I had to come back to the third day, two weeks later, with a report of my progress. The training focussed on when I had enjoyed exercise. I realised I liked exercise more if I had company. So, with the help of KD, I started my plan that weekend. We went on an exhilarating bike ride and I thoroughly enjoyed it. Every night that week, even though it was dark, we (and the dog) went for a walk. A brisk walk. In fact it was a little TOO brisk for my liking at first but I had promised to try things out so I stuck at it. After only three nights, I had started to enjoy it and my pace quickened. I kept up the walking with KD almost every evening after that, until just before Christmas, mainly because of social commitments. The most surprising thing (to me) was that I started to enjoy going to the gym. I had 5 sessions left with the personal trainer. We agreed I would only go once a week, rather than book two sessions in which I dreaded and that I would go on Saturday mornings, rather than after work. This really worked. I am most definitely a morning exerciser! By the time I got to my last session, just before Christmas, I was almost sad that they had finished. In fact, I will probably book some more in soon…. After three weeks, I had lost weight but, much more importantly, I felt so much fitter. My blood pressure came right down and I felt energised. Christmas and New Year have caused me to slip back slightly. I haven’t done any exercise, apart from one walk and I’ve been eating all the wrong stuff. But I still feel motivated and I know I will get back to where I was. I have decided to start again properly on Monday, since we are having another Christmas Day on Saturday with plenty of food and drink…. I am now, obviously, a HUGE advocate of solution-focussed therapy! If you focus on what works, rather than what doesn’t, you are going to succeed. Trust me – it works!! I have just returned from the second boot camp session. Well, for me anyway. I was supposed to go on Friday but, since I still had difficulty walking upstairs I felt it wise to leave it another day or so before punishing myself again. 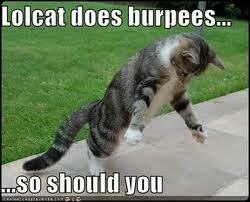 I didn’t know what burpees were before this, I thought they were just the result of eating your dinner too fast! As it turns out, they are hideous exercises but, like I said, he told me to leave those for today. I managed to last the whole hour, working at my own pace, today. I feel very pleased with myself! The best thing though, is that now, an hour later, I actually feel GREAT! I can feel I’ve done some exercise but I feel energised, not ill, like I did on Thursday! I think I’ve cracked it! Now, I must admit, when I wrote the list I was on a bit of a high. I had just finished my dissertation and a general feeling of well being and elation had enveloped me. I really think there should be a law preventing 52 year old women who don’t normally walk farther than their car from embarking on this sort of exercise…..
I’m going again tomorrow anyway. I’ve signed up now, and paid, so I WILL finish the course! !